The origins of the company go back to the mid 1920's and the GB Griffiths building company. In 1952, we identified the need for a specialist high security fencing contractor and GBG Fences was born. We haven't looked back since. Today, over 60 years on, the company is still owned and run by the Griffiths family. We also have many loyal and longstanding members of staff who are all very important to us. One family has over 80 years service with our company between them! 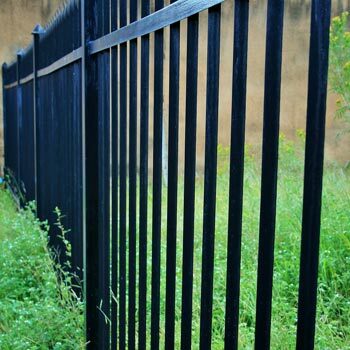 GBG Fences specialise in the design, manufacture, installation and maintenance of security fences, gates and more. We can tailor make or customize our products to meet your exact requirements. Over the years we have built up expertise in working within numerous retail, government, and blue chip organisations all over the UK. Typical customers include large DIY retailers, schools and prisons. We are a Home Office vetted and approved contractor. 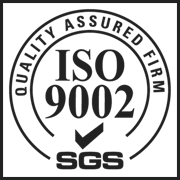 We are an IS0 9002 certified company. GBG Fences have over 50 years of experience in innovating fencing products and systems. Our products include fences for major retailers where we have taken an initial design principle and made the product both aesthetically pleasing and secure whilst keeping within budget constraints. Each of the products has a strong corporate image appropriate to the customer requirements. The products are manufactured in house from raw steel sections in a quality controlled environment. Bespoke requirements are accommodated by talking through customer requirements and agreeing all aspects prior to manufacture. Outside processes are carefully controlled by ensuring that all suppliers are able to continuously meet quality standards. These standards include not only the quality of the finished product but the ability to respond in a timely way even when a short delivery period is necessary. Installation is carried out by teams of directly employed and trained operatives under the control of an experienced contracts manager who is responsible for the contract from order to completion. GBG Fences have been accredited by the BSI for installing fences since 1991 and are one of a very few contractors accredited by the Home Office. GBG operate a reactive maintenance service covering the whole of the UK. Standard products manufactured by ourselves are held in stock to give short response times where required. Details of all sites are kept for a minimum of 7 years after installation and for the full life of the building in some instances to allow for reproducing the original detail as required. This greatly reduces the cost and delivery period for replacement items. A site survey always reduces the risk of errors and is therefore greatly emphasised when talking through the project to ensure that the client is absolutely satisfied with the end product. Gates are manufactured to suit the system and customer requirements. GBG Fences manufacture and install weld mesh fences from 900mm to 12 mtrs height. Timber fence components are from renewable sources. 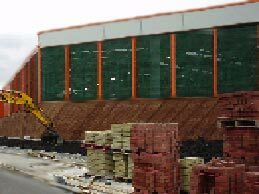 Composite boarded panels have been manufactured to be free standing or set into brick walls. Timber acoustic fences are manufactured with either timber or steel hollow section posts. These are designed to suit local sound deadening requirements and can be treated as required. The British Standard range of fences are available. 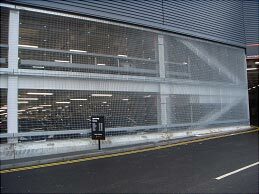 GBG Fences manufacture as standard a vehicle safe car park barrier. Standard barriers are available in widths of up to 5 mtrs in each leaf. Barriers are supplied with securing posts to hold the leaf in the open position as well as drop bolts or central posts as required when closed. 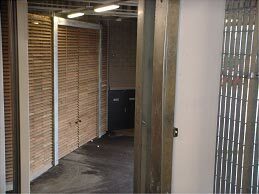 Environmental screens are made to suit local requirements such as landfill sites or surge piles. Screens of up to 13 mtrs height have been constructed and clad with debris netting to suit the type of dust or debris ion the locality. 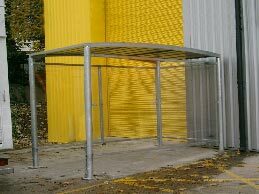 Steel frames and poly carbonate clad shelters are manufactured for a range of purposes. GBG generally manufacture a standard unit size. These may then be added to in order to increase or vary the capacity and become more economical. 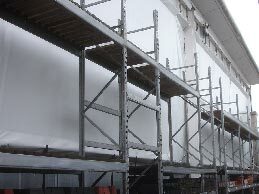 Standard shelter components are kept in stock in case of damage of which there is very little. 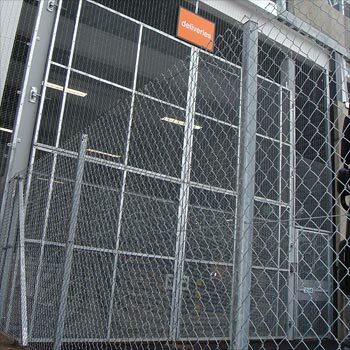 Overhead security netting has been manufactured and installed into retail environment. Over 500 installations are fitted and have been in place for up to 20 years. 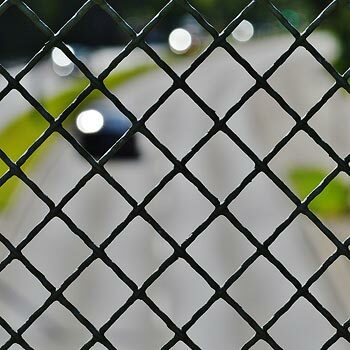 Windbreak fabrics can be included in welded mesh fences too reduce the air flow through the mesh. This assists with reducing wind burn on plants and helps to form a pleasant and safe trading environment. All steel components are hot dip galvanised to BS EN ISO 1466/ 1999 unless specifically requested otherwise. Polyester powder coating available in all RAL colours to BS 13438. Shelter constructed for fork lift storage. 7m high weatherproof sheeting to meet stringent fire requirements. Product tailored for each site. Structual steel supports fabricated in house with added feature cladding for a multi storey car park. High security fence with feature cladding to meet planning requirements. 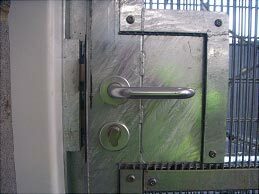 Gates with integral lock manufactured to customers specification. 6m high security gates with timber cladding. © Copyright 2017. GBG Fences Limited - All rights reserved.